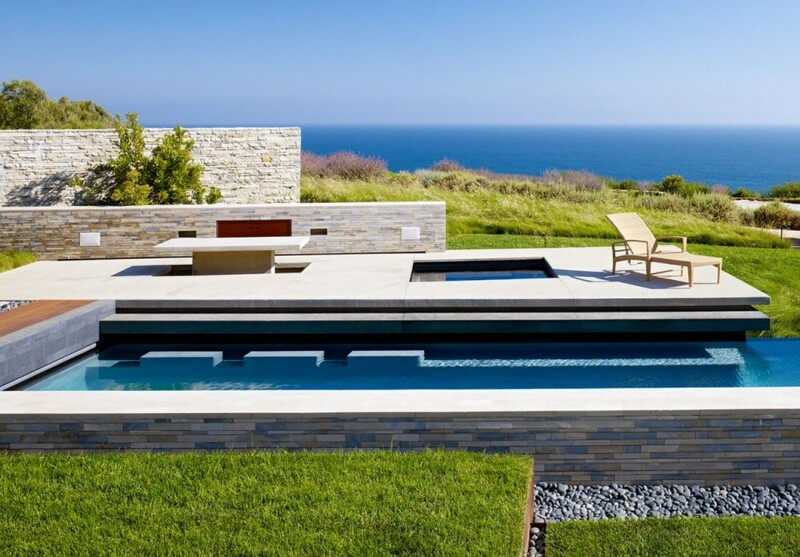 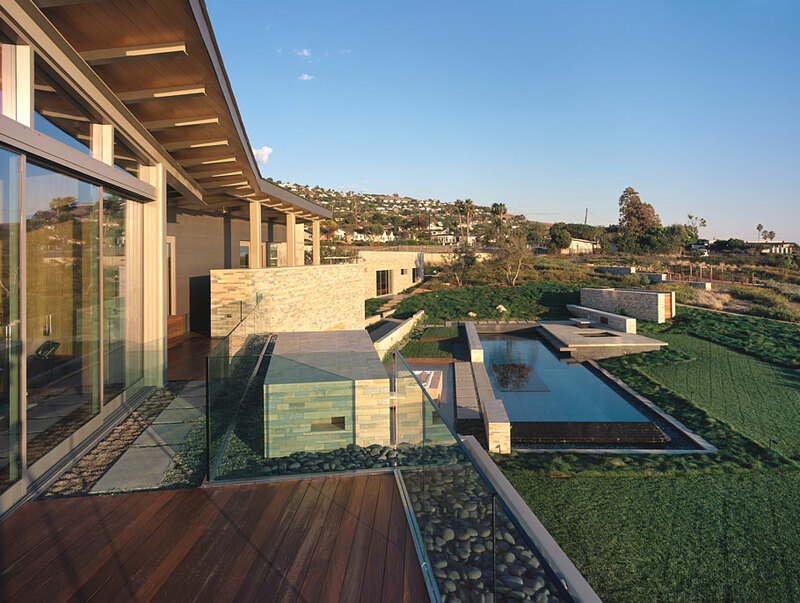 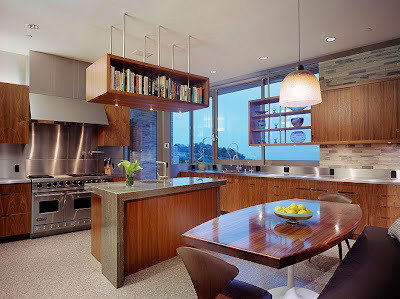 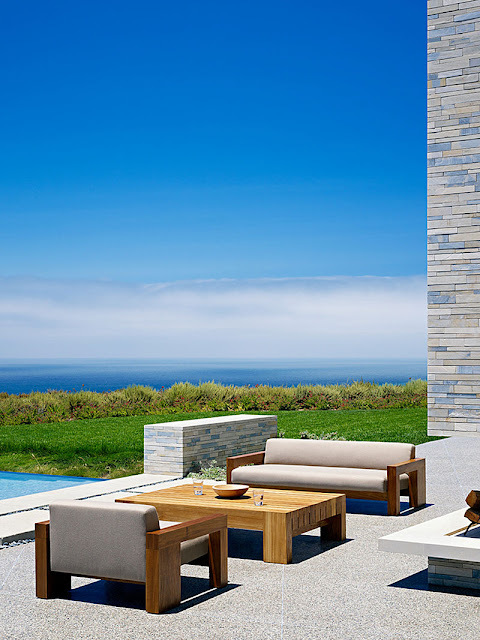 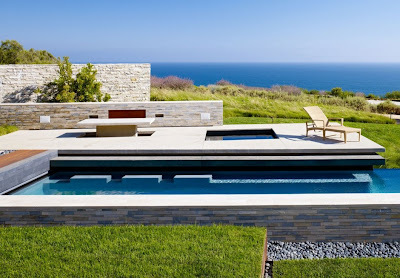 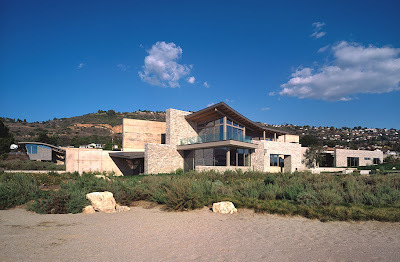 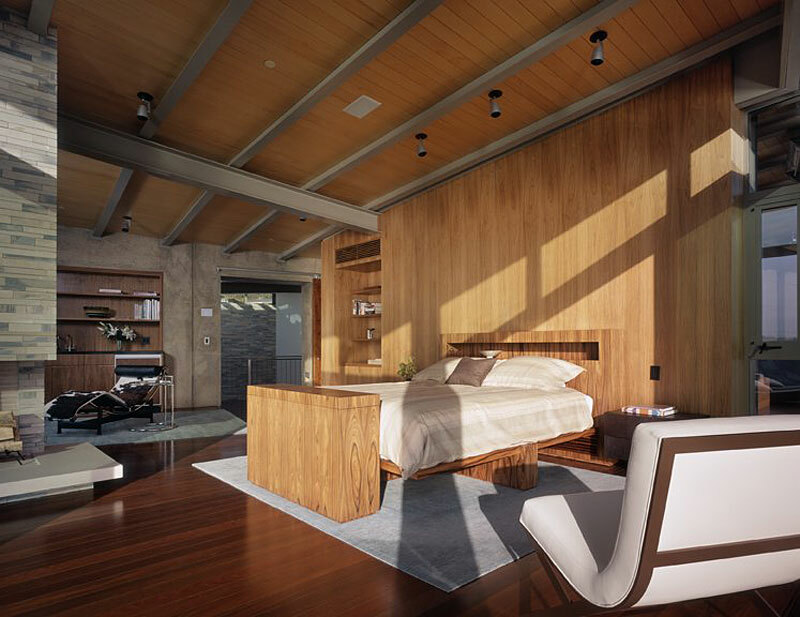 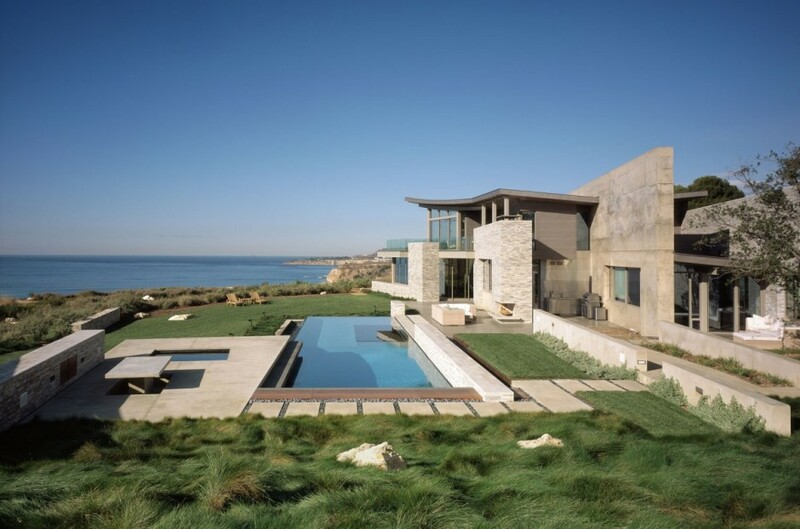 The ocean view home (California) occupies a 20-acre lot in the coast of the Palos Verdes. The design is a 15,500 square foot several structures complex with a main house, guesthouse, study and garage. 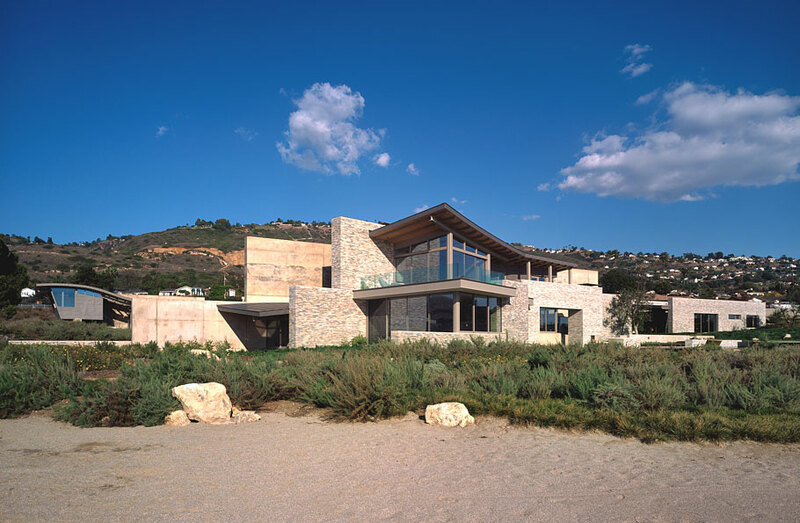 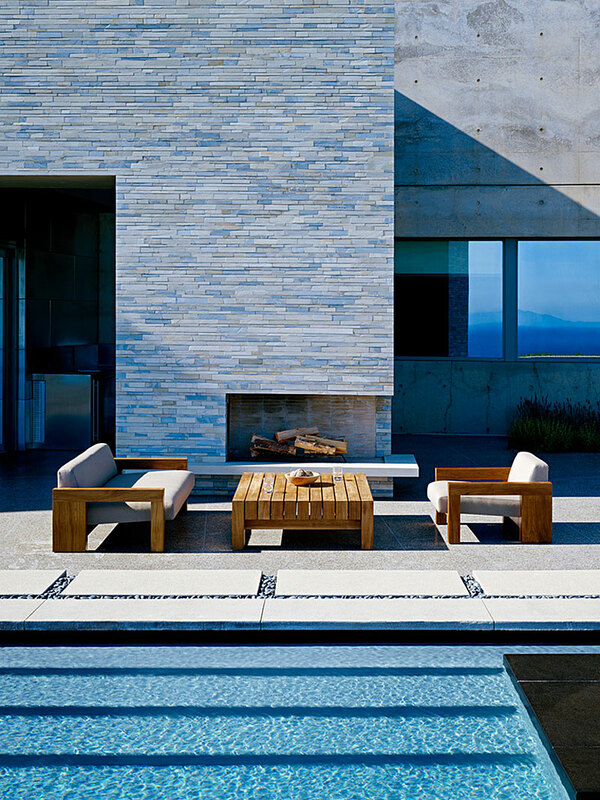 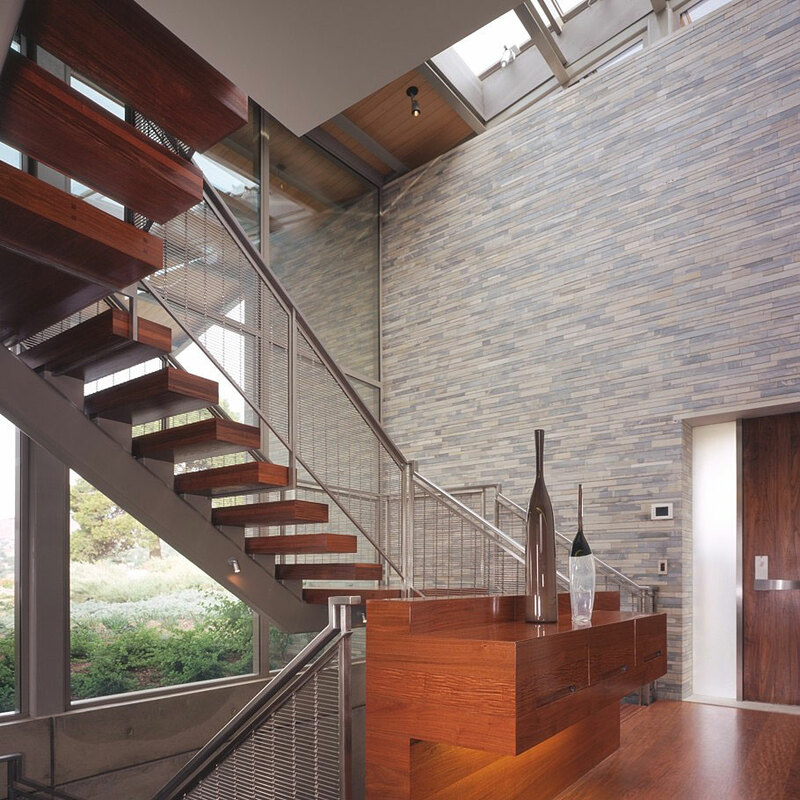 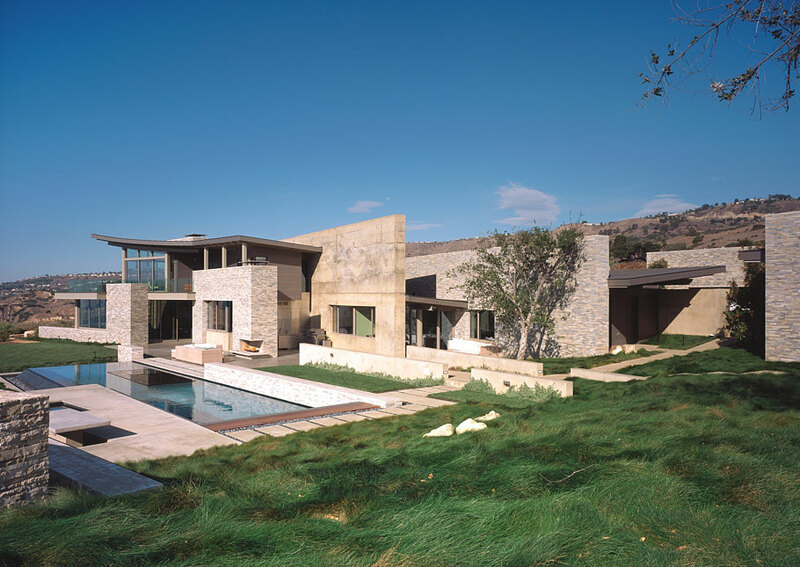 The project was inspired by the owner’s interest in geology and the topography of the area.